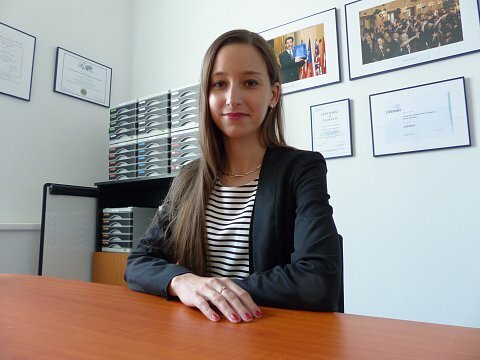 Nela Sotonová is an accomplished young woman with more than a handful of experiences. At just 28, she speaks seven languages, has won investor funding for her start-up, Designeros, in Silicon Valley, lived in Singapore while acquiring designers for her brand and helping to establish classes at Hong Kong and Singaporean universities, worked as a consultant for a number of German and Czech companies, and currently holds the position of Project Manager at Komerční banka. “Learning in English was a valuable asset for me while studying for my bachelor’s degree. I knew I wanted to attend an American university and needed to study the language. Ultimately, the English proficiency that I gained at UNYP helped me to earn my MBA at FIU in the United States. However, the presentation skills that I acquired helped me the most. We wrote a lot of essays at UNYP, and now, I am able to write articles and emails in English without thinking about them too much. 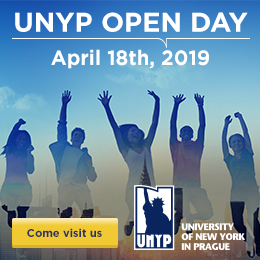 The writing and presentation skills I learned are vital because they are the two essential things I use in my professional career,” commented Nela about her years at UNYP. Nela currently manages Komerční banka’s first e-trading platform, which was launched online last November, and was recently implemented within KB. She also continues to run Designeros, an online gallery that showcases work from fashion designers and helps them establish their own brand name. Each article of clothing is curated, so designers must be unique to be published on the website. The company’s goal is to connect two worlds; the world of design lovers and the world of designers.